The Ghosts of Mystic Springs by Mona Marple - I snagged this book as a freebie (no longer free), after seeing it shared on Facebook by the author, I think. Bombshell by C.D. 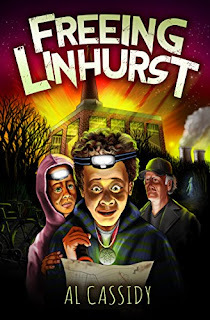 Reiss - I snagged this book for just 99 cents (still 99 cents). It was part of a promotion to get a $3 credit for a select Kindle book, and I love getting promotional credits from Amazon when I can. 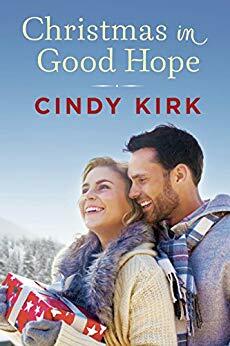 Christmas in Good Hope by Cindy Kirk - I snagged this book for just 99 cents (still 99 cents). It was also part of the promotion for the $3 credit. The Lilac Bouquet by Carolyn Brown - I got this book for just 99 cents (still 99 cents). It was the third book I bought to ensure my $3 promotional credit. A Hope at the End of the World by Sarah Lark - I snagged this book for just $1.99 (after using my $3 credit on it). A Down-Home Country Christmas by Nancy Herkness - I snagged this book for just 99 cents (still 99 cents) because it'll make a great read for this years 12 Books of Christmas reading challenge (or maybe next years since I've already got an abundance of Christmas novels to read this year already). The Underground Toy Society and the Annual Toy Drive by Jessica D. Adams - I snagged this as a freebie (no longer free) after getting an email about it being free. The Never-Open Desert Diner by James Anderson - I snagged this on sale for just $1.99 (no longer on sale). I'd gotten a copy of it through Penguin's First to Read program but ran out of time to read it before my loan expired. Frenzy by Casey L. Bond - I snagged this book as a freebie (still free) after seeing it posted by the author on Facebook. Wow, you added a lot of books! Enjoy them all, and thanks for sharing. Thanks for visiting my blog. Love all the Christmas books. It gets me excited for the holidays!!! Right! I get so excited for the holidays that I even host a Christmas reading challenge every year (twice, this is my second year, but I plan on continuing it indefinitely). Ooh The 12 Books of Christmas Challenge looks fun! That's what makes STS time such a danger...finding all the other new books to add to a TBR. It's even worse when there are books that are still on sale or free. Katie thanks for visiting. That's a HUGE haul! How long does it take you to get through all those books? Promotional credits are great, for some reason I always forget to check what books are available. Enjoy all your new reads and have a lovely week. Thanks. I feel it's my mission in life to make other bookworms feel less guilty about their book hauling by pretty much always hauling more than anyone else. So far I'm doing a great job of it. Lots of these look like books I'd read, nice haul. Nice variety of titles here! Congrats on the book wins. I must admit that I forgot about the $3 promotional deal on Amazon. I had meant to take another look at the titles available. I hope you enjoy all of these! Honestly, the only reason I even took advantage was because I was able to get some Christmas books...and once I started buying the 99 cent books, I wanted to get the credit. Some great books. I was able to grab The Never Open Desert Diner when it was on sale too. I'm so excited to read it. Yeah. It's one that I was just given a copy of through Penguin's First to Read (it wasn't on offer that I know of), and I just ran out of time to get it read. But I have a FtR wish list on Amazon to check for sales on books with expired loans so that hopefully I can still read them and get them reviewed to help my feedback on the site.